From 8 to 10 Feb we, Howard Laidlaw, Margot, Jaap and Roanna Kalkman and Kees Groenendijk went to the cloud forest of the Cerro Hoya NP, more or less due south of the finca of Juan Velázques. 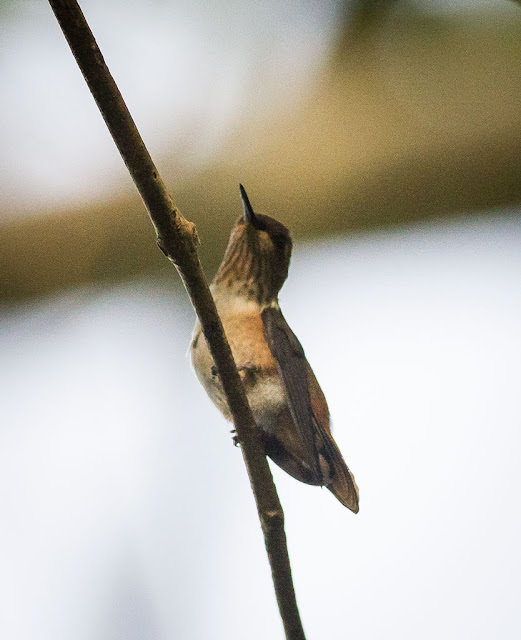 Here we found Selasphorus hummingbirds on three different sites on two diffrent days (8 and 9 Feb). 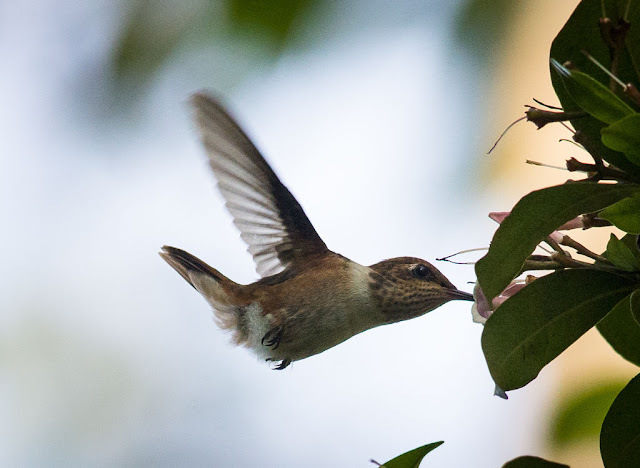 Sites were 1175-1266 m altitude and the hummingbirds were feeding in flowering Inga species and in an unidentified treelet known locally as arriján. We saw at least 5 individuals of which at least one was male. 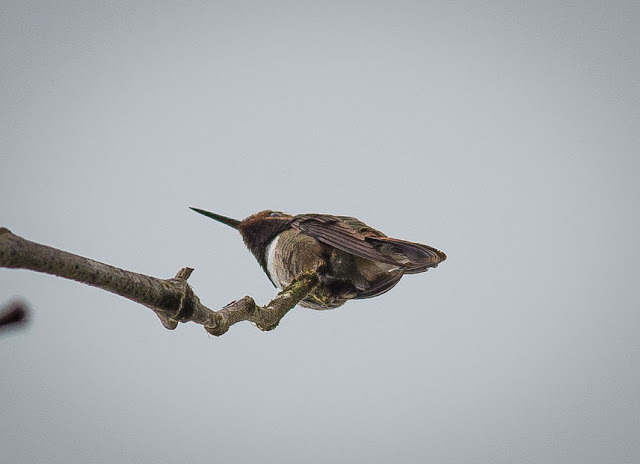 Based on the color of the gorget of the male, closer to purple than to red, we assume that these are Glow-throated Hummingbirds, which would be consistent with an earlier observation by Francisco Delgado. To our knowledge, this is the first time since the reports by Delgado that this hummingbird has been seen in the Cerro Hoya. [There have been other records by University of Panama/STRI expeditions to the area; manuscript submitted for publication —DM]. Photos are courtesy of Jaap Kalkman.